Curran, William Henry. 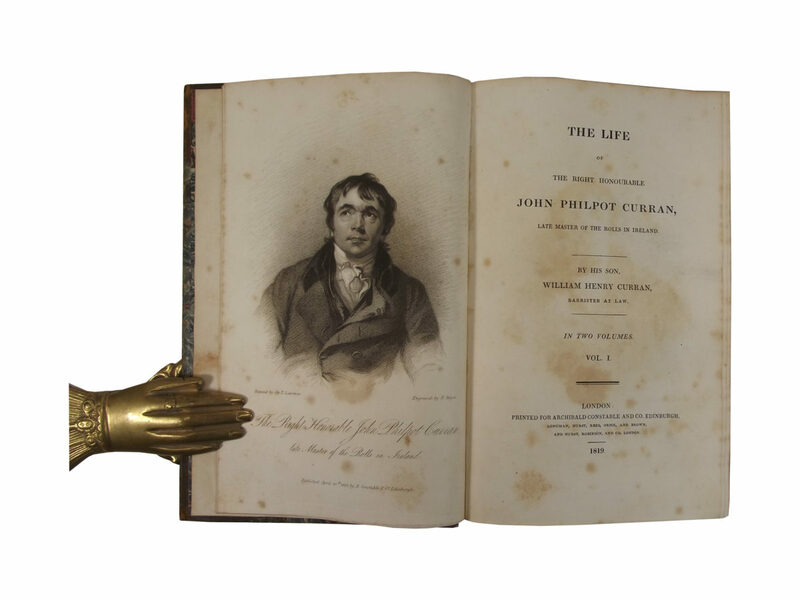 The Life of the Right Honourable John Philpot Curran, Late Master of the Rolls in Ireland. 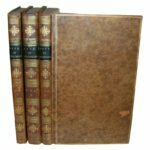 London: Archibald Constable and Co., 1819. First Edition. 8vo. Half Calf and Boards. Good. 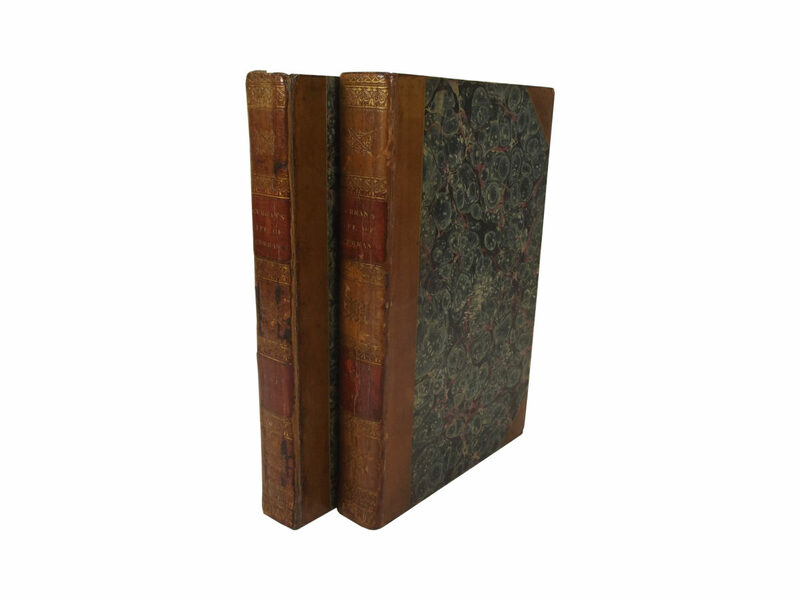 Two volumes complete – Volume One – viii, 448pp and Volume Two – viii, 532pp, near contemporary half calf and marbled paper over boards, smooth backs, divided into five panels, title label to second panel, volume label to fourth, remaining panels with central gilt tool, marbled endpapers. 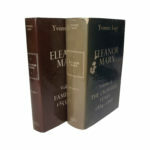 Volume one rebacked with original backstrip laid on, with some minor blackening to leather, both volumes rubbed to extremities, foxing to edges of text block. Internally frontispiece and title with foxing and off setting, some light foxing to margins, occasionally to text, but generally fairly clean. Previous owners book label to front pastedowns (McClure – Inverness), with bookseller / bookbinder label to front pastedown of volume one (W. Ettles of Inverness – Ramsden, page 196, has an ‘Elltes’ in Inverness, possibly the same binder; SBTI has W. [illiam] Ettles as a bookseller, “He was involved in the founding of The Inverness Courier 4 December 1817. 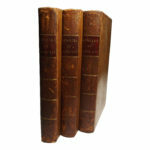 Died at Gravesend 24 September 1819 on his way from London to Inverness”. 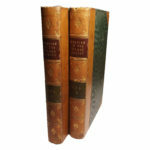 Volume one with an engraved portrait frontispiece and folding facsimile letter.